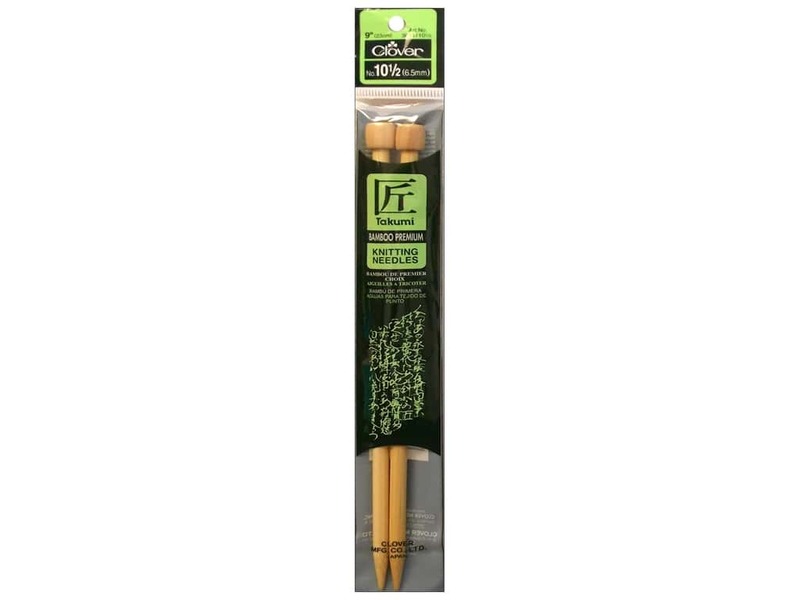 Description: Clover Takumi Knitting Needles are lighter than aluminum, so your hands don't tire, they have the perfect needle point with a tapered, round shape that never splits yarn and the unique processing technique makes for smooth knitting from the start. Precise standards promise the uniform knitting gauge and a beautiful finish. 9 inch. Size 10.5 (6.5 mm).